What Does Code P0038 Mean? OBD II fault code P0038 is defined as “Oxygen Sensor Heater Control Circuit High (Bank 1 Sensor 2), and is set when the PCM (Powertrain Control Module) detects a signal voltage from oxygen sensor #2 that does not fall within the predefined range for that sensor. Note that “Bank 1” refers to the bank of cylinders that contains cylinder #1, and that “Sensor 2” refers to the oxygen sensor that is located after (downstream of) the catalytic converter(s). On most applications, the electrical resistance of an oxygen sensor will be 8 Ohms (or very close to it), and deviations of 10% of this value will set code P0038 and trigger the CHECK ENGINE light. Input voltages in all oxygen sensor heater control circuits should be equal to battery voltage; deviations of 10% will also set code P0038 and trigger the CHECK ENGINE light. Note that the electrical resistance may differ on some applications- consult the manual on the exact values for the application being worked on. During normal (closed loop) engine operation, the signal voltage from the #2 oxygen sensor(s) will vary constantly, and in cases where the PCM detects no changes in the sensor signal voltage(s) for a period of about 8 continuous seconds, code P0038 can be set and the CHECK ENGINE light triggered. 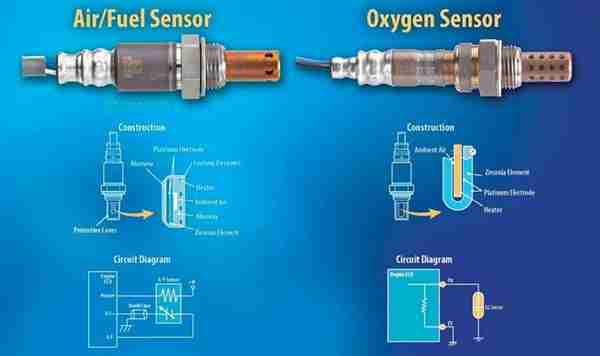 Oxygen sensor #2 monitors the functioning of the catalytic converter, whereas sensor #1 monitors fuel/air metering. In practical terms, this means that sensor #1 measures the amount of oxygen in the exhaust stream (as a function of the combustion process) before it enters the catalytic converter, while sensor #2 measures how well the converter(s) copes with cleaning up the exhaust stream. What are the common causes of code P0038 ? What are the symptoms of code P0038 ? How do you troubleshoot code P0038 ? NOTE #1: It should be noted that code P0038 indicates a fault in the oxygen sensors’ heating control circuits, rather than issues with fuel/air metering. In cases where codes relating to fuel/air metering are present along with P0038, these codes must be resolved before starting an electrical diagnosis of code P0038. NOTE #2: At the risk of overstating the case, code P0038 relates to oxygen sensors that are located after the catalytic converter. 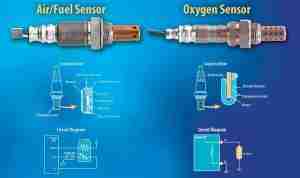 To avoid confusion, and prevent testing/replacement of the wrong oxygen sensors, always consult the repair manual to determine the location, color-coding, and routing of the wiring associated with #2 oxygen sensors. NOTE #3: Check for, and repair all exhaust leaks before starting an electrical diagnosis of code P0038. Exhaust leaks can contaminate the atmospheric air used by oxygen sensors, which contamination can result in inaccurate readings.